Discussion on agency bankruptcy and its impact. Program Description: Unfortunately, sometimes even you best efforts are insufficient to keep an organization solvent. If your home health or hospice agency is forced into bankruptcy, can you be held liable? Are your personal assets at risk? 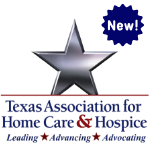 What impact will a bankruptcy action have on your ability to start a new home health or hospice agency? Participants will identify limited liability and the impact a bankruptcy action could have on an agency's ability to start a new home health or hospice agency. Leonard Schneider’s practice focuses on complex commercial litigation. He has also been selected to serve as City Attorney for a number of cities and municipalities. In this capacity, he has performed a wide range of legal services, ranging from contract drafting and administration to affirmative civil litigation on behalf of his municipal clients. Mr. Schneider has extensive experience ensuring that applicable statutory and regulatory requirements are met by municipalities. Since joining Liles Parker, Mr. Schneider has expanded his practice to also include a wide variety of health law matters and cases. Mr. Schneider also served as the Assistant District Attorney for Galveston County in Texas. In this role, he prosecuted both felony and misdemeanor criminal cases and honed his litigation skills with significant time before a judge and jury. While he seldom prosecutes criminal cases in his current role, his experience in this field has afforded him a strong skill set in working with criminal law. Mr. Schneider is also responsible for litigation brought by or against the cities he represents, often managing teams of attorneys brought in specifically for each case. In this way, he keeps his litigation skills fresh. His criminal and civil litigation trial experience allows him to give practical and timely advice to clients in civil matters, including business litigation, contracts, breach of contracts, collections, elections, and economic development. In addition to practicing law, he has authored and presented papers on corporate law issues, landlord/tenant arrangements, evictions, economic development, and city council meetings. He also currently instructs business students on ethics and business law as an adjunct professor at two universities.